Sustainable Tennessee aims to keep Tennessee at the forefront of environmental and economic sustainability. Currently, we have two projects that fall under the Sustainble Tennessee program. They are Come, Post Your Compost and Recycling and Education Outreach. 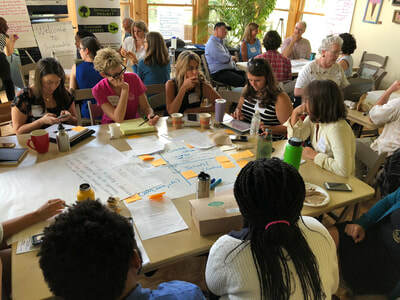 To develop, prioritize and implement a statewide Sustainability Agenda with the input of a broad coalition including citizens, conservation groups, environmental policy experts, elected officials, and representatives of private businesses, industry, and educational institutions. The Council's current priorities are increasing recycling and composting in Tennessee communities. 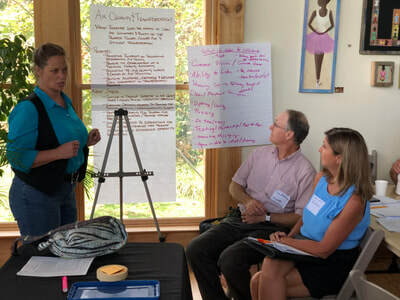 Business and personal practices that enhance sustainability in TN are emphasized and promoted through the Sustainable Tennessee Program. 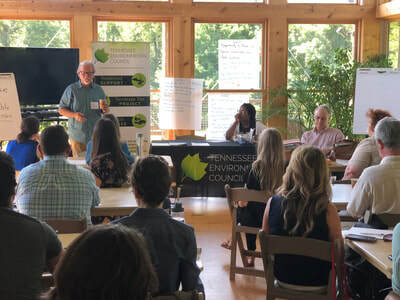 Tennessee Environmental Council is spearheading a campaign to increasing curbside recycling participation in Knoxville, Lebanon and Davidson County, and reducing contamination in the recycling stream in those areas. Tennessee Environmental Council is launching a statewide program to help Tennesseans reduce their residential food waste In September of 2018. Our end goal is to engage 1000 Tennesseans in composting and to divert 60 tons of food and yard waste from Tennessee landfills by the end of 2019. ​Tennessee Environmental Council helped launch the Sustainable Tennessee coalition in 2007, with the goal of developing a statewide Sustainability Agenda which includes the input of a broad group including citizens, conservation groups, environmental policy experts, elected officials, and representatives of private businesses, industry, educational institutions and more (over 1,000 participants and 250 organizations statewide since 2007 have contributed). The coalition focuses on priority issues related to land, air, water, energy, transportation and food. 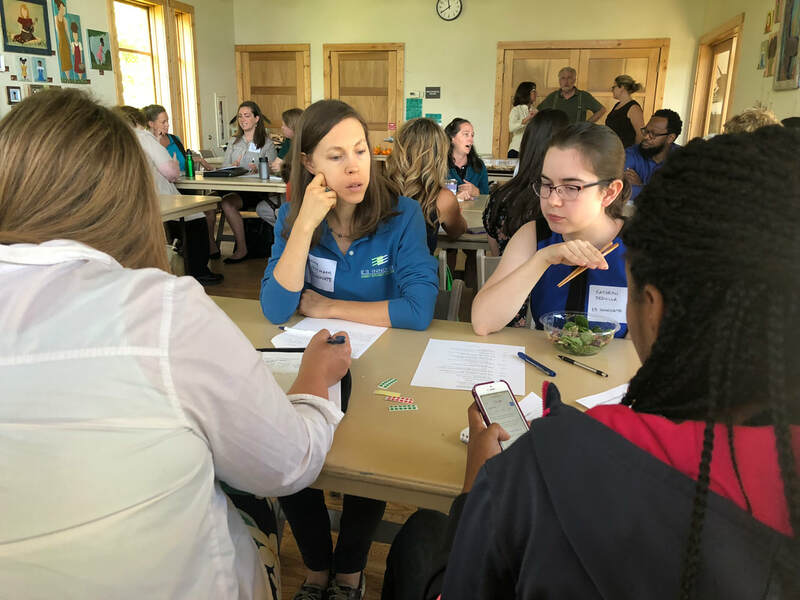 Sustainable Tennessee is a project of the Tennessee Environmental Council in association with Tennessee Conservation Voters. Sustainable Tennessee provides an infrastructure to help our state’s diverse stakeholders work together. This infrastructure includes a series of meetings and workshops throughout the year. Every year, we select a leader that has made significant contributions to the improvement of a more sustainable Tennessee. Our 2018 Award went to Erik Daugherty of E3 INNOVATE! Start composting, join Come, Post Your Compost! Schedule a meeting with your elected officials and let them know that you care about water quality and protecting the environment of Tennessee. Click the Sustainability Agenda above and bring a copy to share with your Legislators.